A reception will follow, including refreshments and a cash bar. Members free, not-yet members $20. 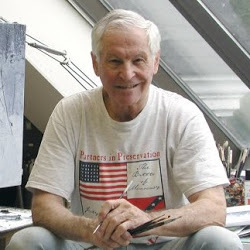 Known for his meticulously researched historical paintings of the American Civil War and other subjects, Mort Künstler is also a prolific illustrator whose romance, adventure, and sporting illustrations have engaged and entertained readers for five decades. Original artworks created for such popular twentieth century publications as True, Argosy, Men’s Story, Sports Afield, Outdoor Life, American Weekly, and The Saturday Evening Post, as well as movie posters, book jackets, advertisements, and history paintings reflect diverse artistic genres and the evolution of a distinguished sixty year career. Books and prints signed by Mr. Künstler will be available in the Museum store. At the request of the artist and his family, Mr. Künstler will not be signing books or prints at the opening. He will be signing prints and books on November 29th and March 7th at the Museum.